Gather friends for the dwarven co-op adventure Deep Space Galactic this month. Ever wonder what would happen if the publisher of Goat Simulator published a game about dwarves? Yeah, we never have either. But we may be in for quite an adventure because Coffee Stain Publishing and Ghost Ship games have just that in mind! On February 28th, Deep Rock Galactic is digging its way out of Closed Alpha and moving into Steam Early Access and Xbox Game Preview. 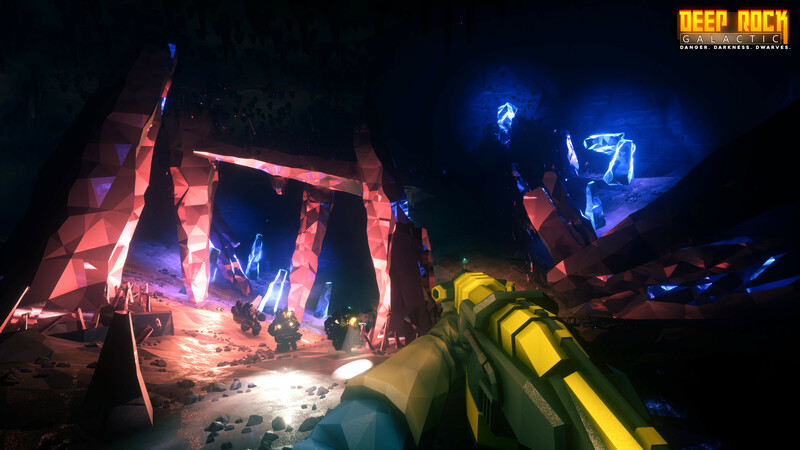 In Deep Rock Galactic you play as one of a team of four dwarves who are tasked to go on mining missions on Hoxxes IV, a dangerous planet consisting of plenty of valuable minerals and gems. The environment is procedurally generated and filled to the brim with dangers. Prepare to be attacked by all sorts of creatures that reside within the depths of rocky interstellar caverns. Because of these constant threats, teamwork is key for survival. You can choose between four classes for your Dwarf: The Driller, Engineer, Gunner, or Scout. With weapons in hand and your team set on the prize, your goal is to mine the depths of Hoxxes IV and retrieve your bounty intact, all the while alien creatures hunt you down. Get your weapons and mining tools ready. Come the end of February, PC and Xbox gamers will be taking the plunge in Deep Rock Galactic. Don’t be left behind.